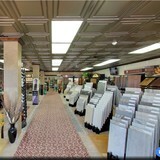 James Bros Carpet & Tile Inc.
St. Johns Flooring Experts For Over 25 Years! *Authorized Mohawk Dealer* The Floor Trader and its family of stores provide you with the widest selection of flooring options, all under one roof. Each product we feature is carefully selected to ensure the latest in design technology, fashion-forward styles, colors, and warranties. Whether you are considering carpet, hardwood, laminate, tile, stone, or luxury vinyl plank, The Floor Trader® provides you with easy to shop Good, Better, Best, and even Premium flooring options at prices that can’t be beat. 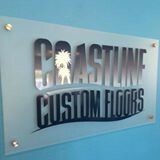 Coastline Custom Floors has been in business since 2001 and has thousands of satisfied customers. We strive on making our customers happy and take pride in our work. We are professional, courteous and thorough. Give us a chance to earn your business and I guarantee you will be satisfied. If you want it done right the first time call us! We have over 15 years of technical experience with installing tile and wood,as well as wood floor refinishing and restoration the hard surface flooring featured by our flooring store. Bella Citta® is a modern revival of an artistic timeless floor crafted after old world European designs. Bella Citta® is offered in a wide array of exquisite patterns featured with beautiful colors and treatments that bring out the true antique look and the beauty of the wood. Bella Citta® gives a room richer feeling and sophistication by gratifying all interior décor styles from vintage to contemporary. Bella Citta floor uses an assortment of different wood treatments to produce our Old World European Designs. Each color in the collection is a uniquely different process to achieve the desired beauty. Our treatments include smoking, carbonizing, thermo treating, color infusing, distressing, wirebrushing, handscraping and the “raised knots” effect. The specific treatments for each floor are defined in the product specification pages found within our website. After our specialized treatments, Bella Citta® floor is then finished with our protective Natural or White Oil that will provide your floor with a sophisticated and natural look that cannot be achieved by an acrylic or urethane finish. The hard oil finish details the natural patina of the wood and enhances the color of the floor. It is simply a natural hardwood floor at its finest. Bella Citta® is offered in a wide array of exquisite patterns featured with beautiful colors and treatments that bring out the true antique look and the beauty of the wood. Bella Citta® gives a room richer feeling and sophistication by gratifying all interior décor styles from vintage to contemporary. Bella Citta® is a modern revival of an artistic timeless floor for the most demanding projects. a family owned and operated flooring company, who strives to deliver the best service possible to our customers. We pay close attention to details that make a huge difference between a well installed floor and an installation that falls far from even being considered a good installation. We are top rated installers with some of the national recognized names in the construction industry, we will provide references by request, while some of our excellent Google reviews. 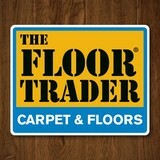 Designer Floors & More is a family owned business conveniently located in Fleming Island, Florida. We pride ourselves on our customer service. We exceed expectations from our first conversation to in-home measurements and through the installation. Our procedures ensure that our customers are taken care of every step of the way. Come in today and talk with one of our specialists! We are a 5 star, client-centered, family owned and operated flooring service located in Jacksonville, Florida. After 20+ years in the flooring industry, we've mastered everything from the installation process to the benefits and features of various flooring products in the market. We take pride in our work, and we are confident that we have the expertise to provide you with quality flooring at affordable pricing. *Authorized Dealer of Shaw Floors* In the flooring industry, there’s no shortage of competition. If you’re looking for hardwoods, you’ll find thousands of product options and hundreds of people willing to install them for you. The same goes for tile, carpet, laminate, etc. At Fantastic Floors, our mission is to provide a quality product, at a competitive price, with a level of service that exceeds our competition. We don’t “sell” floors. We help you find the perfect floors for your family in our design center, or bring the showroom to you free of charge. We take the time to listen to your needs, and help you select the best flooring option to fit your budget and lifestyle. We can answer any questions you have about how your new floors are engineered and why they make sense for you…all in the comfort of our home or yours. We work with designers, retail customers, commercial builders, and real estate investors to improve an existing space or create one that is totally new and unique...and we’d love to work with you. St Lucie Epoxy Pros are the premier provider of polished concrete and epoxy flooring in st lucie county florida. We do stained concrete, decorative concrete, stamped concrete, Polished Concrete, epoxy Garages and Metallic Epoxy. Our Floors are durable, affordable and come with a great waranty. Davis Floors is a family business owned and operated by Jason and Missi Davis, a husband and wife team with over 55 years in combined Customer Service experience. It’s because of this experience that we've modeled our business around The Golden Rule: we do unto our customers as we would have done to us when we're a customer. 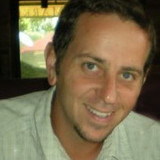 Jason Davis is a St. Augustine native and has been serving the flooring needs of the people of St. Augustine and the surrounding areas since 1990. The Davis Family name has also been synonymous with integrity and quality construction in the St. Augustine, Florida area for generations. Every job we do is a job we can be proud to put our name on. That's not just something we say. We believe in what we do. Forest Accents brings a unique international flavor to your design palette with its versatile Collections of hardwood flooring. We carry some of the finest select exotic woods in the world. These beautiful wood species are selectively harvested from the bamboo forests of Southern China, the western regions of Africa, the tropical areas in Northern Brazil, and other locales known for the beauty and quality of their hardwoods. Chosen for their striking, radiant colors, and handsome graining, these beautiful hardwoods will reflect your taste, your spirit and your style. Our Engineered Wood Flooring products afford you the flexibility to glue down directly over concrete, or staple down over existing plywood sub floors. These engineered (or cross-ply constructed) floors are designed to reduce the natural expansion and contraction of wood, which adds to their appeal to use in damp basements or regions with significant variations in relative humidity. Our exotic hardwoods will add a genuine sense of history and reflect your chic individuality. Precision Flooring is a full-service, certified flooring contractor with over ten years of experience in all areas of flooring services. We offer 24 hour emergency flooring repair service. You can count on Precision Flooring for speedyand reliable service when you need it most. No job too big or to small. We offer affordable solutions for everyone. Our flooring experts are highly skilled and have all undergone rigorous training. Protect your investment with a reliable floor. We provide free estimates. Don't wait, call us today! Precision Flooring is a licensed & insured company. What kinds of services do hardwood flooring installation professionals in St. Augustine, FL provide? Find hardwood floor experts in St. Augustine, FL on Houzz. Search the Professionals section for St. Augustine, FL hardwood flooring installers and dealers or browse St. Augustine, FL photos of completed installations and look for the professional’s contact information.